A stylish countdown timer for promos, a product launch and other needs of your WordPress website. Customizable sizes and styles, setup and editing in several clicks. Countdown Pro Addon is a new widget with advanced functionality for MotoPress WordPress Page Builder. Countdown timer is a great marketing solution for your website. You may set a counter to track a discount duration, define the date of product release or website launch etc. An intuitive interface allows you to create an eye-catching countdown timer visually with your mouse and without any line of code. You can drop the widget to any place of page or post, set the dates and time when counter should appear and disappear, entirely customize colors, and block sizes. It is fast and responsive so you might be sure it will look perfect on any screen. click Upload Plugin, Browse and Choose File, then select ZIP file of Countdown Pro Addon plugin. Click Install Now. define a start date to show timer on this date. You can display custom text before this date. set the format of countdown. Use ‘Y’ for years, ‘O’ for months, ‘W’ for weeks, ‘D’ for days, ‘H’ for hours, ‘M’ for minutes, ‘S’ for seconds. Upper-case characters for required fields and lower-case characters for display only if non-zero. if you set a start date for your countdown you can also add some content before it starts. Note: the text will be displayed on the website preview only and not available in the builder. you can also add custom content to appear when the countdown reaches zero. another option for expiration date is a redirect by URL. Since the counter reaches zero all the visitors will be redirected to any URL you wish. One of the main features is an option to add content before the timer starts and after it reaches zero. You can find it useful if you add a timer to count for a discount release and add coupon code to appear when it reaches zero. Moreover, you can enable automatic redirect to any URL after the counter is over. 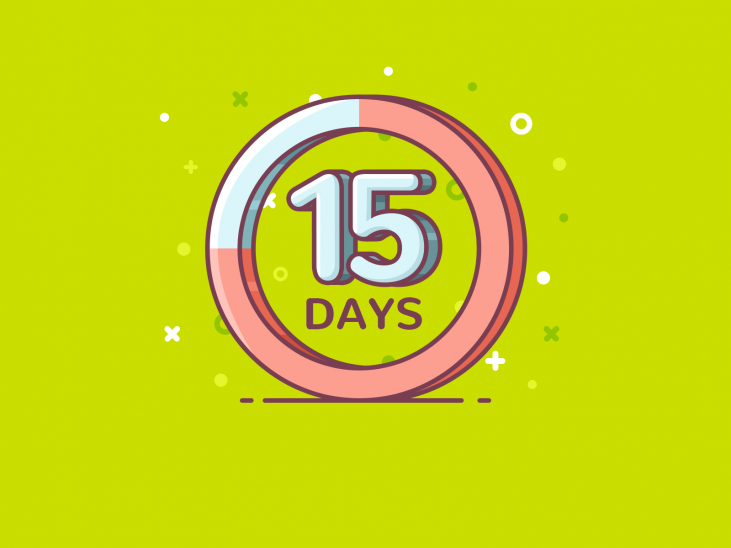 We are pretty sure you’ll find a way to apply the countdown on your WordPress site properly. Would this work to setup a Guestbook area where we can display the Private information about the property to Guests before their checking date, like 48 hours before check in or something like that? Thank you for your question. Actually this is one of the premium addons for Visual Builder plugin. This addon allows to add countdown timer and style it visually. However you need to set up the date and time manually. By default it does not fetch the dates of certain events automatically. is there also a count-up function in this widget ? No, there isn’t count-up function. Anyway thank you for your idea. We’ll keep in mind your request.